What do you think about the future designer workspace? I assume some of my readers remember drawing board in multiple variation when it was a primary working place for engineer and designers. However, time is running fast, and we probably need to think about the future of engineering workspace. Few years ago, Microsoft was talking about surface computer. I was monitoring recent CES event in Las Vegas and trying to find anything that can lead me to the future trends. 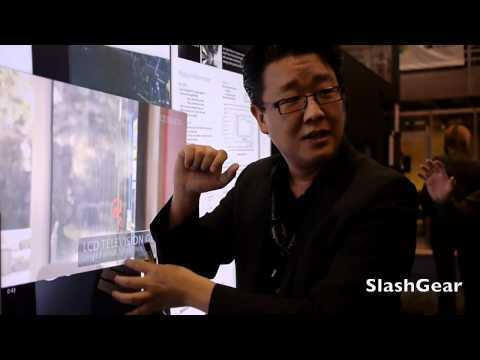 82 inch Gorilla-glass multitouch display was presented by Perspective Pixel. I didn’t find any engineering and design examples of such big-screen usage, but I can imagine them. Now let me dream a bit about the future. I was laughing some time ago, when the following set of Steve Jobs pictures was published – iPhone, iPad, iBoard, iMat. At the same time, things can become serious. Navigate your browser to the following article in MacLife. Rethink Apple- iDesk.